You make choices every day. ..... Some are more important and significant than others though, aren't they? What will you eat for lunch? ..... What will you watch on TV? ...... Which will you wear today? ..... These types of choices aren't too life defining - although I suppose if you eat junk food every day, then it may become more life defining. Choices about whether you run with the pack, or whether you carefully choose your friends and become your own person....... Choices about whether you will stay quiet when you see something that is unfair and wrong - or whether you will stand up, speak up and be heard. These are the types of choices that carry with them far more serious consequences - and longer term effects. And so if you choose without proper thought, or if you choose just to please someone else, then you risk later paying a much bigger price than what you might have ever imagined. So, every so often, step back from what's going on in your life ..... Take a few deep breaths - and ask yourself these questions - Who do you want to be? ..... What sort of person do you want to become? ... What are you wanting to achieve with your life? 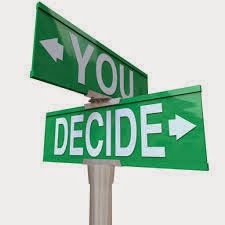 .....Will the choices you are making now move you closer towards your dreams and goals? So, what are the keys to making good decisions and choices? ...... Well one key is to consider all your options before you choose. Another key is to take the time to gather any information that you might need - so you can make an informed choice, rather than an impulsive or emotional one. 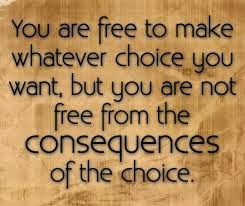 Your choices end up defining your life. You were born with some God-given talents, potential and abilities ..... You may not yet have completely recognised what they are - but they are there. There is a giant within each of us. Personal development is about the journey of discovering that giant. And when you do discover your true potential, this treasure that lies within you - then you make choices about whether you will apply yourself and live to your potential. More than your abilities, more than your talents - it is the choices you make that will determine how far you go in life. And no-one said that making the right choice is always going to be easy. You will have to grapple with uncertainty. Sometimes, you need to be prepared to make some tough choices that cost you in the short-term - but you gain the rewards in the longer-term...... Choose to work hard today - so you can enjoy tomorrow. Copyright. 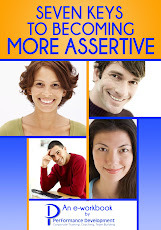 Performance Development - What is Personal Development -. Awesome Inc. theme. Powered by Blogger.